Harry Kane kept Tottenham in touch at the top of the Premier League table by scoring a second-half penalty to seal a 1-0 victory over Middlesbrough. Spurs were dominant throughout at White Hart Lane but they struggled to break down a resilient Boro side until Kane converted his spot-kick after the excellent Son Heung-min was fouled by Espinosa Bernardo. Victor Valdes was also fortunate not to be sent off early on after he pushed Dele Alli in the face. Tottenham's win means they reduce the gap behind Chelsea back to nine points while Middlesbrough stay 15th, one point above the relegation zone. Mauricio Pochettino's side started the game buoyed in the race for second place, given defeats earlier in the day to both Arsenal and Liverpool, but again playing catch-up on Chelsea, who had stretched their advantage to a daunting 12 points with another statement victory over Arsene Wenger's men. It left little room for error but Spurs got the job done and now appear the most likely candidates, albeit amongst an unlikely bunch, to rein in the run-away leaders. Boro, meanwhile, have scored only eight goals in 11 away games all season and for all their defensive organisation, they rarely looked like adding to that tally here. A crucial period now follows for Aitor Karanka's men who will surely need some sort of cushion before beginning a run-in that includes Arsenal, Manchester City, Chelsea and Liverpool in their final six games of the season. Tottenham enjoyed 71 per cent possession during a one-sided first half but found themselves frustrated by the visitors' disciplined rearguard action. Son was his team's most potent threat down the left and he should have broken the deadlock early on when set free by Alli, but his driven finish was palmed away by Valdes. Valdes' moment of indiscretion came soon after. Alli had just fired into the side-netting when the pair locked foreheads, with Valdes continuing the argument by pushing the midfielder in the face and poking him in the cheek. Neither referee Mark Clattenburg nor his assistant, however, appeared to see it as the goalkeeper escaped unpunished. For a 20-minute period, Tottenham were all flair and finesse, Alli Cruyff-flicking the ball out to Kyle Walker, Mousa Dembele dancing past Marten De Roon and Son cushioning a cross-field ball and then darting in behind all in one movement. But Middlesbrough were stubborn. Instead of imitating Tottenham's pressing game, they did the opposite, sitting deep and lining the penalty area with bodies. Kane twice went close before half-time as one Son cross he headed over and the second he poked into the net, only for the assistant referee to correctly call offside. 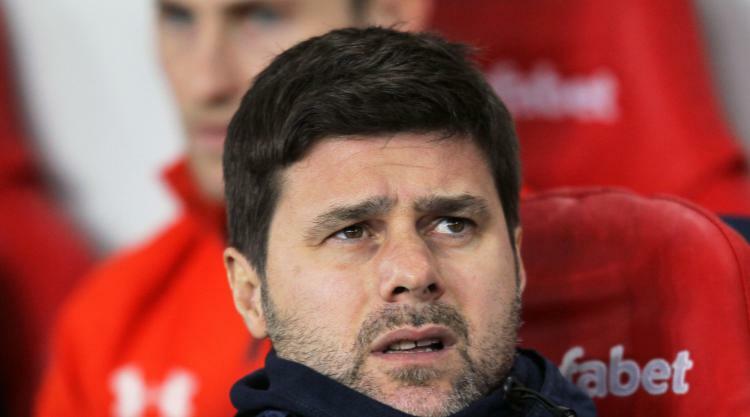 When the second period began with Christian Eriksen stumbling dizzily on the ball and Toby Alderweireld lashing a long pass straight into the stands, it seemed like Boro had Spurs where they wanted them. However, just after the hour they were undone. The irrepressible Son was again involved as his sharp turn fooled Bernardo into kicking his foot away and Clattenburg pointed to the spot. Kane side-footed the penalty past Valdes for his 14th league goal of the season. Tottenham could have made the result more comfortable late on but twice Eriksen, Alli and Kane ran into each other when a second goal looked likely. Middlesbrough almost made them pay when Alvaro Negredo's acrobatic bicycle kick connected with Fabio da Silva's cross but he flashed harmlessly wide and then De Roon scuffed his finish past the far post. Tottenham hung on for a much-needed three points.